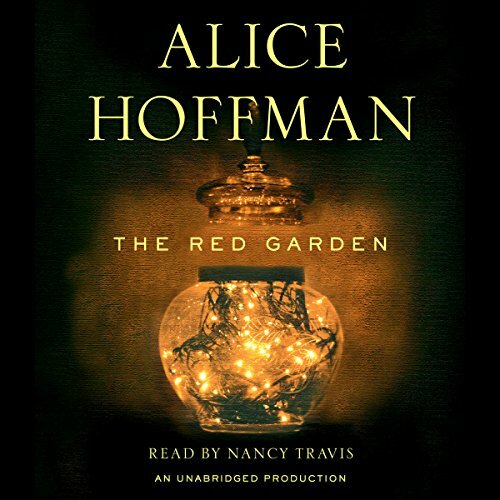 The Red Garden by Alice Hoffman, read by Nancy Travis, evokes comparisons to Thornton Wilder’s classic Our Town. The book meanders through time, allowing the lives and deaths of the inhabitants of Blackwell, Massachusetts, to tell the story of time’s passage, of loves requited, of the inexplicable in life, and of the stamina of good, plain folk. Nancy Travis performs the chapters  each one denoting a forward progression in time  in a straightforward manner. Deftly moving between Hoffman’s storytelling of fact and fantasy, Travis has the opportunity to be a narrator, an actor, and a teller of ghostly tales. Whether characterizing the first inklings of lovesick yearning from a teen-aged girl in the 18th century or portraying a young widow, two centuries later, who has lost her Blackwell childhood sweetheart across the world in Vietnam, Travis deftly moves from character to character, time period to time period. Nature also becomes a character in The Red Garden, and Travis’ reading imbues palpable emotion as generation after generation of Blackwell residents brave the roiling Eel River and venture recklessly into the bear-infested woods of Hightop Mountain. They never learn as we, the listeners, do. Early in the story there is the depiction of the young stranger with an oddly strong sense of purpose who strays in the area long enough to plant some apple trees and bewitch the local women. The apple orchard, then, becomes the scene of trysts and confrontations for centuries onward. Finally, there is the Red Garden itself, so named because, decade after decade, anything planted within its fenced confines comes up red. There’s a story there, buried centuries ago. The Red Garden introduces us to the luminous and haunting world of Blackwell, Massachusetts. 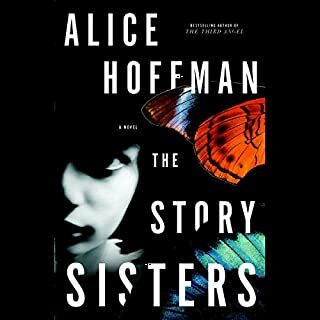 Hoffman offers a transforming glimpse of small-town America, presenting us with some three hundred years of passion, dark secrets, loyalty, and redemption in a web of tales. From the town’s founder, a brave young woman from England who has no fear of blizzards or bears, to the young man who runs away to New York City, the characters in The Red Garden are extraordinary and vivid: a young wounded Civil War soldier who is saved by a neighbor, a woman who meets a fiercely human historical character, a poet who falls in love with a blind man, a mysterious traveler who comes to town in the year when summer never arrives. At the center of everyone’s life is a garden where only red plants can grow, and where the truth can be found by those who dare to look. The Red Garden is as unforgettable as it is moving. You have to go in to this book knowing it's episodic - it covers about 250 years in the life of the town, and each chapter skips ahead to another generation. Knowing that, you let go of your expectations for a "regular" novel and just go with the flow. At first I had a hard time getting into the book. But once I understood the structure and got about three chapters in, it completely hooked me. I loved every bit of it. The characters are so rich, and the town itself develops a personality and becomes a character we root for. 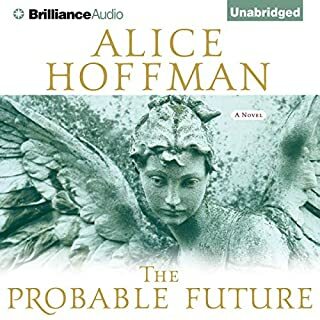 Alice Hoffman has such a terrific insight into human nature, and in this book she examines all kinds of people, allowing the reader to understand each of them, in their weakness, in their nobility, in their humanity. I listened to this book twice through, then listened to my favorite chapters a third time. It wouldn't let me go! This isn't for someone wanting major action or romance. It's not a genre novel, but more literary. I think you have to allow yourself the time to sink into this one, and when you do, you'll be glad you did. Lovely premise and written well enough, but I had hoped for more connection in the end of the pleasant ride up through the history of the small town. In the end, it was like anytown, with the ghosts and memories of the past always lingering but it missed a satisfying resolution of some sort. I won't say don't try it, because the stories have character and depth, but I just can't rave on this. Another wonderful book from the sublime Alice Hoffman. Fabulous recording. Beautiful writing. A must listen! 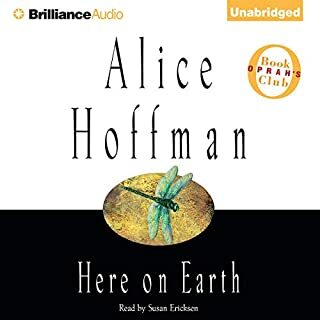 Alice Hoffman in her best! Absolutely! If my friends does'nt know Alice Hoffman they ought to. Best writer ever! This was a beautifully written and gorgeous book.. This book reflects the qualities that makes Hoffman one of my favorite authors. 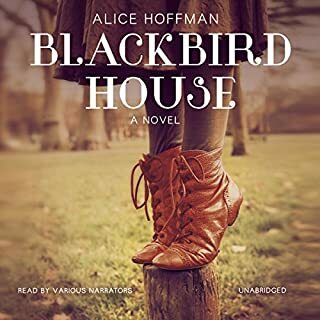 It has nuances of Blackbird House which marks the unique signature of Hoffman's writing. The characters are strong, and insightful, with human frailties that make them both unique and relatable. The worlds she creates are as if the stories are told by the form of a mountain with omnipresent qualities that watches our worlds come and go with the passage of time. She incorporates the everyday with a subtle hint of the mistical that opens ones heart to the wonders and unknown possibilities of the world around us. This book felt like a series. In fact, I often thought as I read it that I would love to see it fattened and become a television series or at least a book series. Each time period and the person it represented left me wanting more. From the very first character I wanted more than the lifespan that was given. What happened next to Hallie Brady, for example, when she left town? I was angry, at first, when I borrowed the book from the library for my Kindle that it didn't have text-to-speech enabled. Even so I was drawn into the story enough that I kept reading, even past my eyestrain. But by the middle of the book I started feeling like this would be a book to own. I already want to read it again. I bought the Audible version and a used copy from Amazon. I want to go back to Blackwell, soon. I loved Nancy Travis's interpretation of the various characters. Way better than my text-to-speech voice! I look forward to reading and listening to this again in the future. What would have made The Red Garden better? More continuity between the tales. Felt more like a book of short stories. The stories each ended without a strong tie into the next. Seemed like many stories...not one. 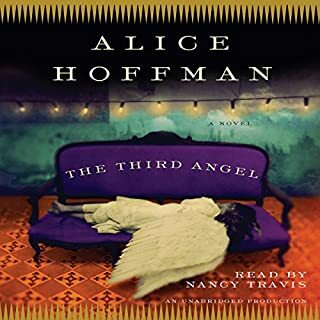 Would you listen to another book narrated by Nancy Travis? No. I've now listened to two books narrated by Nancy Travis. Not a favorite. What character would you cut from The Red Garden? I read "The Museum of Extraordinary Things" first. 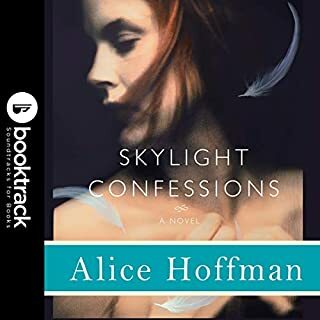 It was by far the best book of Alice Hoffmans that I read. I loved it! After 3 disappointments, I do not think I will read her again. The book might have benefited from a slower reading. Some spoilers here...Within the first 20 minutes I was exhausted by this rushed, dispassionate telling of what might have been a very interesting story. The autbor could have written an entire book on the lives of the characters in the first chapter. I had been interested in the protagonist Hallie but she arrived in the wilderness, communed with bears, got knocked-up by mysterious stranger, had babies, buried baby, buried husband, and died within minutes. Her story might have been the seed through which the other stories within this book grew but it passed so quickly that I was truly unmoved. The author told a grand story with zero emotion or passion. There was little time for the readers to savour the story and connect with that first main character. The narration was equally speedy and bland, which certainly made things worse. It might have made a very interesting graphic novel series but I can't recommend this audiobook. the narrator blended characters and chapters, which made it hard to flow the story line. I had to rewind a few times to realize thdre was a new chapter and the characters changed. I found this to be more like short stories set in the same town. sometimes I felt it left a story just as I was getting to know the character. despite this, I do love getting lost in Alice Hoffman's books and this was no different.